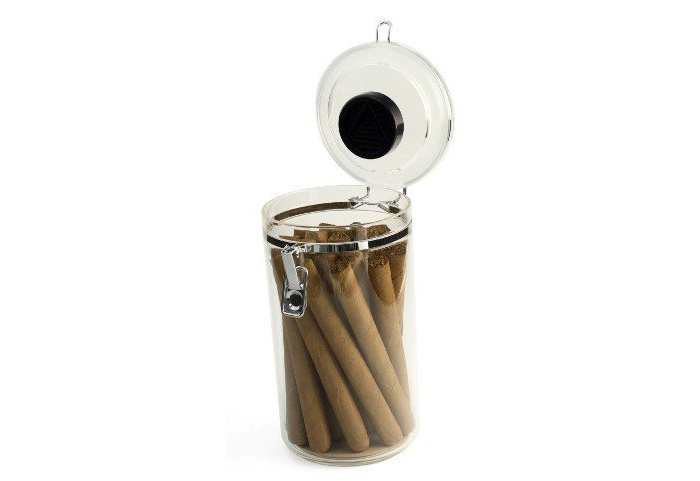 Looking for portability and simplicity? 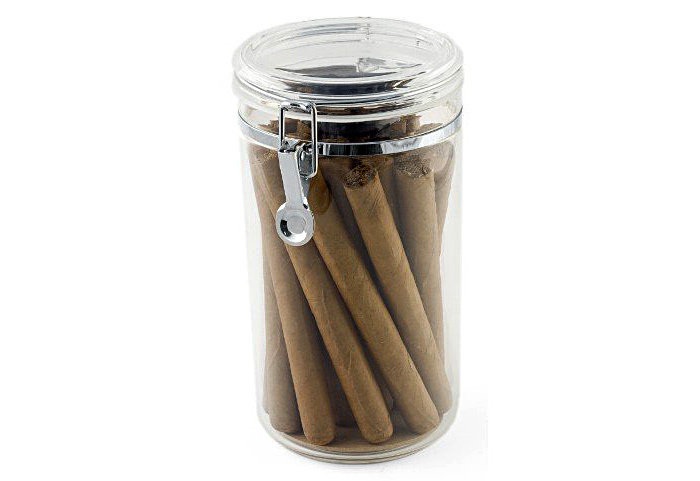 This humidified cigar jar humidor is not only a great buy but makes a fantastic gift. 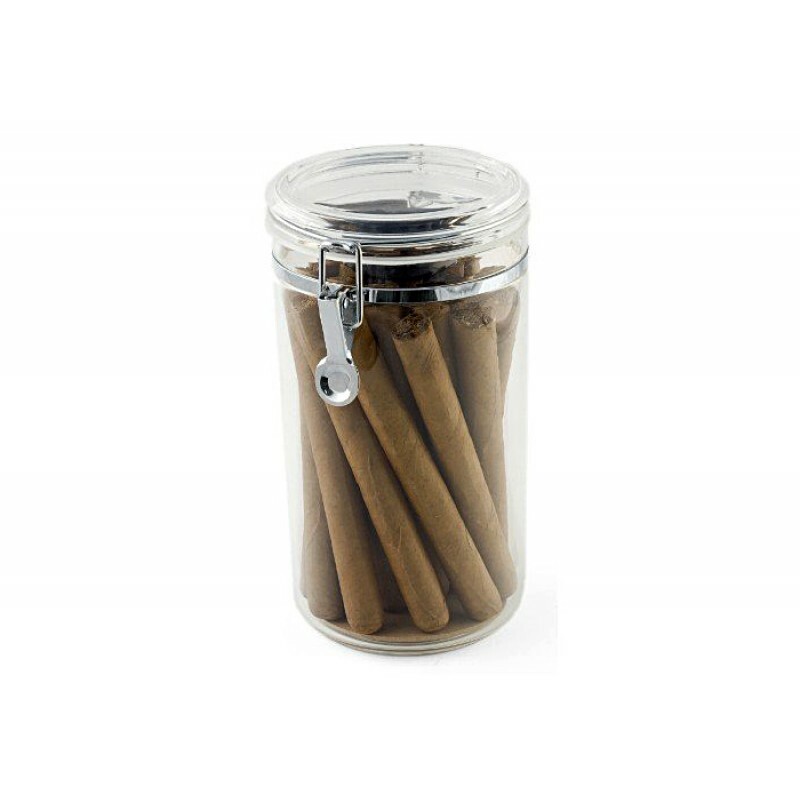 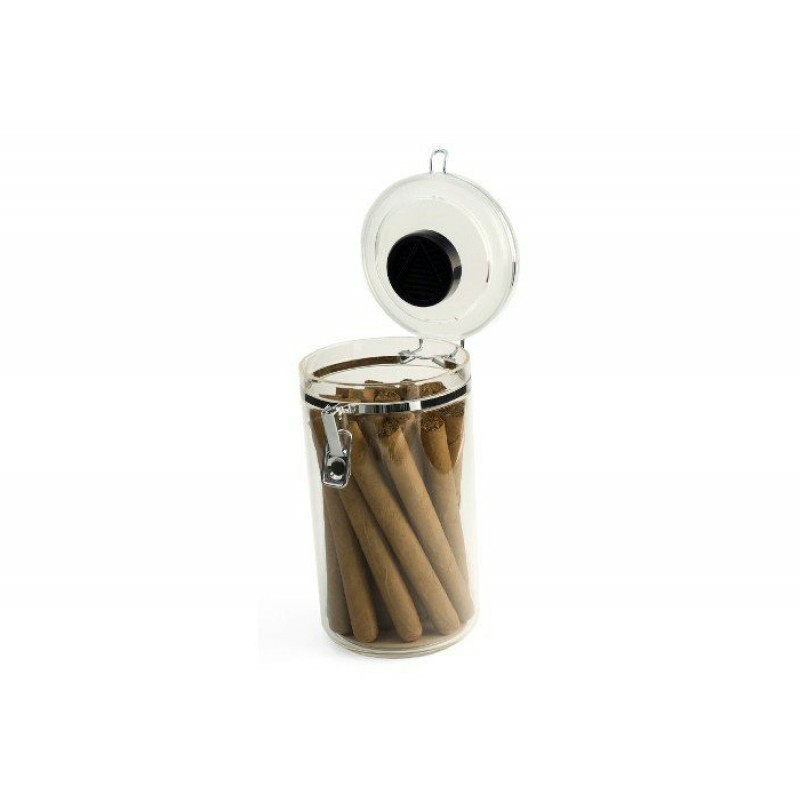 Constructed of durable acrylic, this cigar jar humidor can protect and hold up to 25 cigars. 15 Cigar Slick Camouflage ABS Plastic Travel Humidor with Handle & Humidifier.